Arginonta Valley and Black Buddha are two newly-developed sectors across the road from the popular red cliff of Arginonta. Both new sectors were developed as part of the 2015/16 EU-funded maintenance and equipping project. 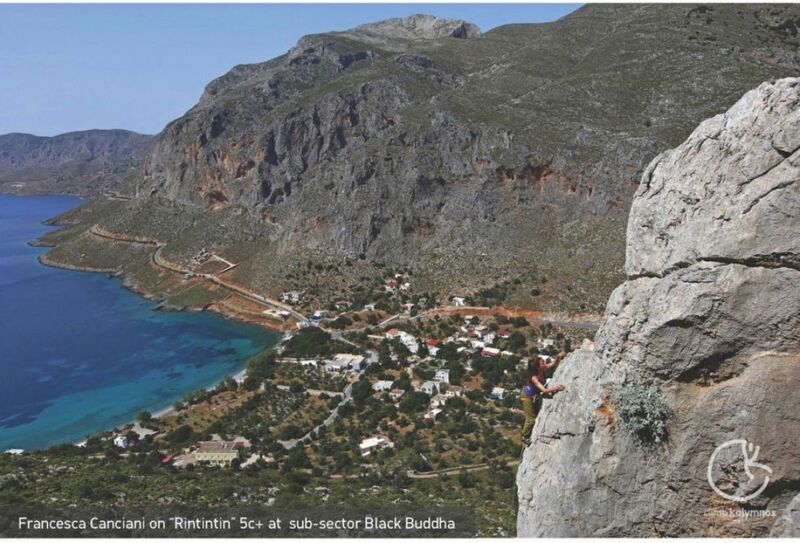 The new cliffs fill a need on Kalymnos for more mid-grade climbs and more shade. With the vast majority of grades between 5c to 7a and shade from 10:00-16:00 at Black Buddha or from noon until the end of the day at Arginonta Valley, both new sectors are expected to become increasingly popular. 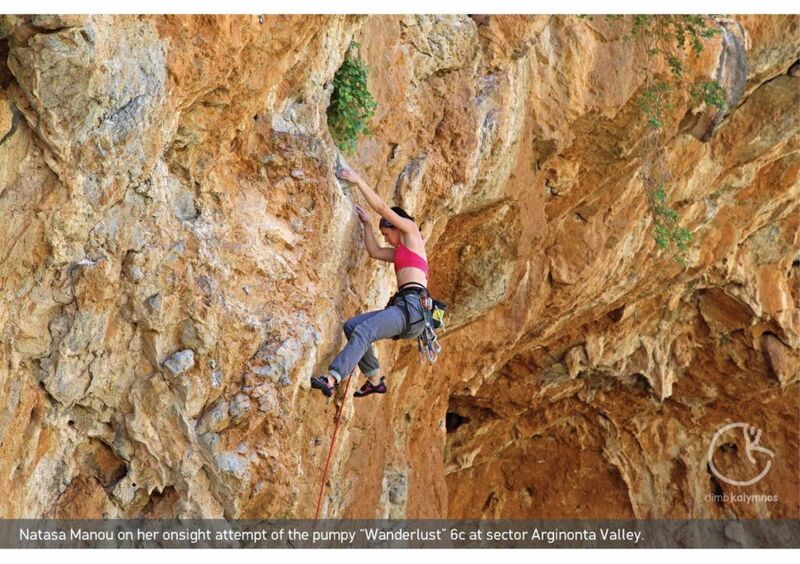 Sector Arginonta Valley is above a valley with beautiful, centuries-old gnarled olive trees. The trees were completely neglected but the terrain around them has been cleaned and their shade can now be enjoyed freely. The sector’s three distinct sections offer a bit of everything: steep slabs full of good holds and some horizontal streaks, juggy bulges, and steep overhangs with some colonettes. Most routes were equipped by Aris Theodoropoulos and Claude Idoux. 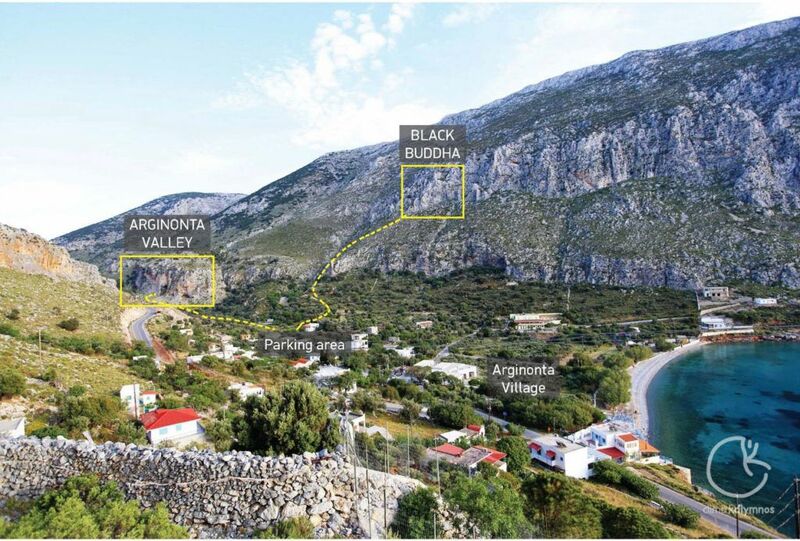 Sector Black Buddha is high above Arginonta Bay, with beautiful and unusual views over the village and the sea. With many hours of mid-day shade this is another good option for hot days; however, the approach path is in the sun. Routes are around 6a, on grey/black slabby rock full of small bulges and big holds often hiding overhead. Most routes were equipped by Claude Idoux in 2015/16. Grades are not confirmed yet at either sector, as the routes are very new and have only seen a handful of ascents. As always, we welcome your grade suggestions. After climbing at Arginonta Valley or Black Buddha, the handful of small friendly shops in Arginonta are perfect for relaxing. Climbing: On slabs full of good holds, small bulges and some horizontal streaks, vertical walls with small holds and juggy bulges, but also steep overhangs with jugs and some colonettes. The cliffs are north-facing, well-bolted, and though originally covered in dry thorny bushes and shrubs, thorough cleaning uncovered quite a few highly enjoyable and varied lines. See above or scroll down to the bottom of the page for a downloadable list of routes and grades. Conditions: Ideal for climbing on hot days. Arginonta Valley is in the shade from 11:30 (Left Cave and Right Wall) or 12:30 (Middle Wall) and for the rest of the day. Black Buddha is in the shade from 10:00 until 16:00; the approach, though, is in the sun. Kids: Both sectors have some suitable areas, though the approach to Black Buddha is much longer and steep at parts. 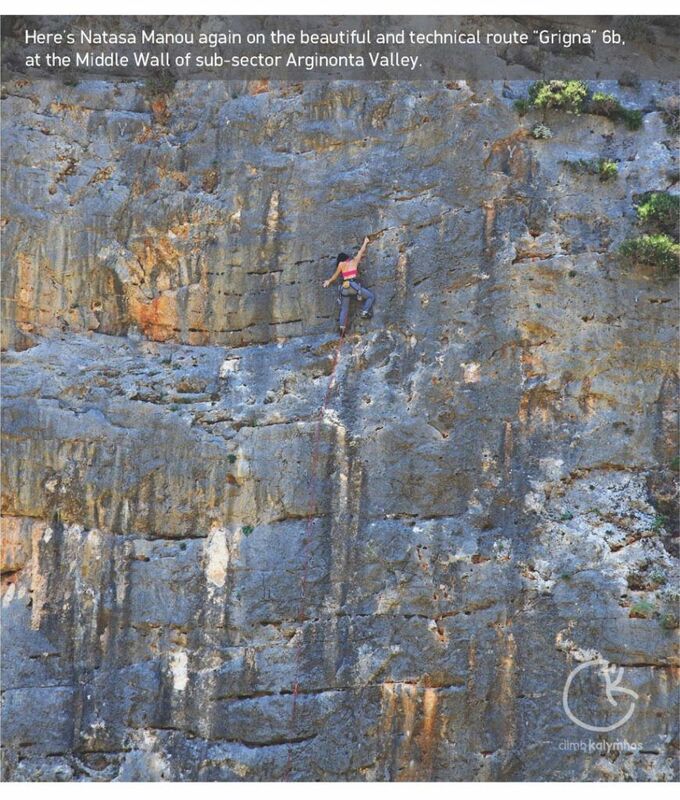 Remember that kids must always be away from the cliffs and never directly beneath climbers. Black Buddha: Go to Arginonta village. Immediately after the small honey shop, turn right. Pass in front of the church and continue on a concrete road. Park further along, where the road splits and there is an unfinished stone structure. Walk to the right along a faded dirt road, which goes uphill then leftwards, and turns into a path entering a narrow gully. Walk up the gully until you see a cairn on the right. Continue up the steep winding path following the cairns. See also: photo on page 169. Walking time: 25 min. Arginonta Valley: Go to Arginonta village. Immediately after the small honey shop, turn right. Pass in front of the church and continue on a concrete road for about 200m. The concrete road turns into a bumpy dirt road. Park 50m further, at the clearing with the huge olive trees. Walk for a further 100m along the dirt road until you see a wire gate on the right. Go through the gate into the olive grove. Make sure to close the door behind you. Walk up to the cliff through the olive trees for another two minutes. Walking time: 5 min. *Temporary access problems to Arginonta Valley: Part of the area beneath the cliffs is used by a local shepherd for housing sheep and goats. While the shepherd cooperated with the equippers when they were developing the crag, after the work was completed he decided to restrict access to the cliffs because of a land dispute with the municipality. The municipality has promised to resolve the dispute, but there has been no progress at the time of writing. For now, walk along the dirt road until you find portions of the wire fence you can hop over; there are at least two such sections along the wire fence. Online reservations for hotels, studios, houses and apartments in Kalymnos island. We will be glad to help you book your accommodation in Kalymnos and give you all the necessary information for your trip. How to come, where to go, what to see and everything you want to know so as to spend your vacations in the island.